Good afternoon – I thought it was about time I posted another update as I feel we have achieved a lot recently. Firstly I would like to say thank you for all of the support we receive both in person and online through our social media. We do appreciate the comments we receive. Clive and I both give our time voluntarily to run the BRFC DSA. We do it to help others and to ensure that matchdays are enjoyable for everyone. We want all supporters to feel that they are welcome at Bristol Rovers FC. On the Level Playing Field website, disabled supporters can leave comments and reviews of their experiences when visiting different stadiums. I met a couple the other week who had previously posted a review that wasn’t favourable towards The Mem. I went along to the away end to meet them when we hosted MK Dons. I knew beforehand that there would be a large group of disabled supporters arriving. I spent some time chatting with them all, hearing their thoughts on the new location of the away wheelchair area and generally about their experience on arrival at The Mem. They all approved of the changes made, and we discussed other possible ideas. I was delighted to see that the couple I met posted a new revised review on LPF which was positive and insightful. You can read this review on our LPF page by scrolling to the bottom – Level Playing Field/Bristol Rovers. Last Friday, I played a very small part in helping to arrange disabled access for a family to attend the match on Saturday just gone. Their son had signed for the academy and was on the pitch at half-time. So of course, the family all wanted to be there. 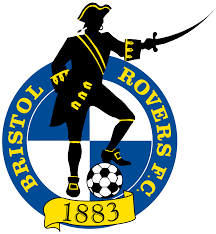 Part of my role is to provide information and liaise with supporters and staff at Bristol Rovers. I put the family in touch with the right people who arranged the help they needed to enjoy what was a special day for them. On Monday I received an email from the family thanking me for helping them. We don’t expect praise or thanks for what we do, but when someone goes out of their way to thank us, and we read how much they enjoyed their day at The Mem it makes all of our work worthwhile. I am delighted to say we now have some DAB radios that will provide commentary for partially sighted/blind supporters, blankets and, once they arrive, weatherproof covers for wheelchair users to protect them from the elements. These items are for disabled supporters only. Please get in contact ahead of a match, and we will arrange for you to borrow the item you require. However, if you do arrive on a matchday and find you do need a blanket, cover or radio you can also get in contact, and we will try to get what you need to you if available. However, I must stress we only have a limited number of each item. While all of this may sound very basic – it is necessary I think to consider not only the obvious but also the small unnoticed things that can make a difference to an individual’s experience.